Hey guys, I recently got a hard drive for my EMUlator 4 & I managed to hook it all up without any smoke but for some reason the drive keeps showing up as multiple drives & then disappearing or falling asleep & freezing the sampler. When I press the info button it says that the drives have 0 everything. what's goin on & how do I fix it? 1. Try a different SCSI cable. 2. 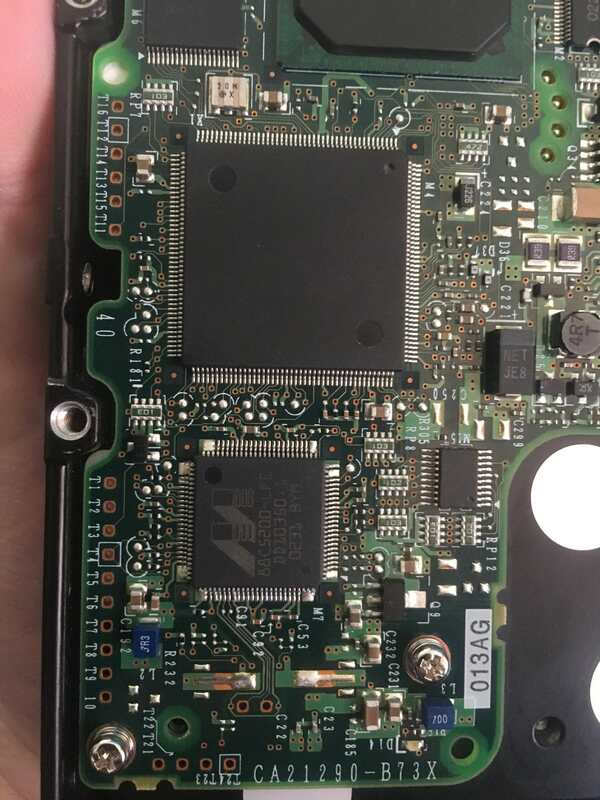 Check that the drive is terminated (probably a jumper on the back) and that the sampler is not terminated. 3. Some drives have a bunch of other options that can be set with the jumper, you'll need to luck up the user's manual and make sure yours are set correctly for your setup. If you get it working I would recommend you consider a SCSI2SD device. Much more reliable that a spinning drive, and it can be powered directly from the sampler which cuts down on cables. I think that if you can't find a schematic of the hard drive online, you'll have to resort to a process of elimination. To start with, I'd remove all of the jumpers from the drive and check that the sampler IS terminated... I'd guess that a single jumper will be responsible for terminating the hard drive so boot up without any installed and see how you go (btw - I'm assuming that you only have 1 scsi device installed ie. the hard drive).... maybe then add only one jumper and move it to different pins ... reboot... cross your fingers. The drive appears to be going into idle ... the hard drive in my K2000 did the same and although there was a menu button to wake up the drive, it never did and I couldnt access the drive ... if you do get it up and running, check to see if you can always keep the drive active and not fall into idle mode (Im unfamiliar with your synth but it might be a menu/preference option). I'd also recommend a SCSI2SD option at some stage as Madtheory suggested... the hard drive in the Kurzweil got exchanged for one of these and it's Fan-Tas-Tic... just the duck's nuts... faster, more reliable, bigger memory and just full of goodness... best of all, no moving parts. Good luck... please let us know how you got on. are those scsi to sd things easy to set up? Good question. I would say it's as easy/ horror show as any SCSI device. But more reliable, because there are no moving parts. mm1 yes, google the drive make and model, the user's manual will tell you what the jumpers are. These things are usually very well documented online. Tekhed66 thanks for clearing up the termination of the sampler. so from what I understand, shorting would be just putting a connector between 2 of the terminal holes, right? What you have to do first is look through your synth's manual to find it's SCSI number/channel... this is usually preconfigured by the manufacturer ... for example, both my Kurzweil and my s5000 sampler are set to SCSI ch6 (this is how it comes straight from the factory). SCSI numbers are like house numbers on your street... you can't have two scsi devices with the same number in the same chain... your synth and your hard drive will require different numbers... this is stated in point #1 of the manual where it says 'Important'. Once you've found your synth's scsi number, refer to the manual you found and set the hard drive number to anything other than the same as your synth... this may require you to add a jumper (maybe two?) across two of those JP1 pins as per the manual.. open means take off the jumper... short means add the jumper. The hard drive motor start is controlled by pins 11 and 12 (see p82 Table 5.3) ... check to see that there is a jumper across these pins... your drive might be sleeping because the jumper across these pins is missing. Keep in mind that setting the SCSI channel is a different thing to scsi termination... think of termination as a full stop... the synth (which is at the end of the chain) needs to be terminated but the hard drive doesn't... I recently installed a scsi card reader into my s5000 sampler... to switch off termination on the card reader, I simply had to remove a jumper from the termination pins... the sampler has a termination on/off switch on the back panel and this was set to ON.... it looks as if your hard drive termination is controlled by pins 23 and 24 so remove the jumper across these pins to switch termination to OFF. Keep at it... it's a test of endurance. The SCSI2SD card is effectively the same as a scsi hard drive... it will have its own ID and termination set to off... you connect it to your synth's internal scsi terminal with (usually) a scsi ribbon cable... it's much better because as I posted previously, more memory (depending on the size of your SD card) and no moving parts... better still, it requires hardly any power and doesn't go into idle mode... well worth the investment. hey, the scsi id on my sampler can be changed to whatever number you choose, I have it set at 2. 23 & 24 aren't shorted so I'm guessing the termination is off, the sampler manual says that both ends have to be terminated & I don't have anything else in the chain so should I just jump pins 23 & 24 anyway? 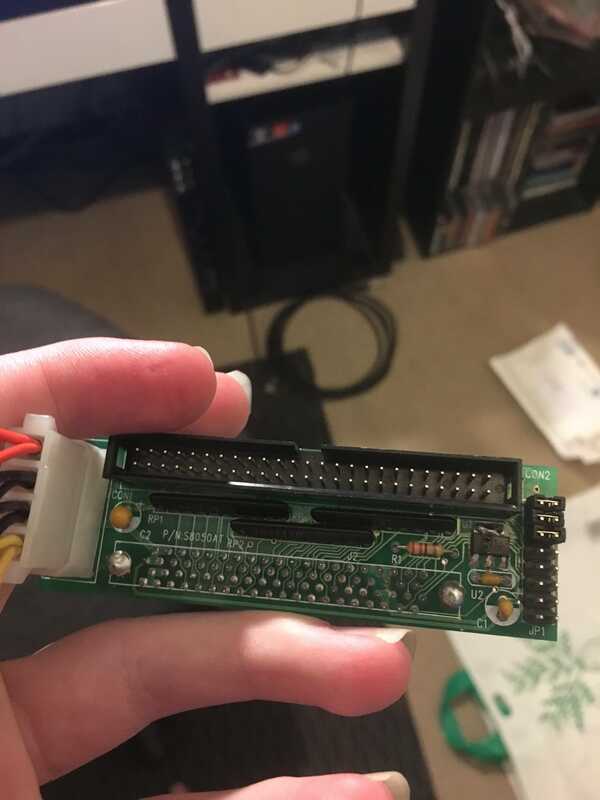 also the hd manual stated something about jumping some of the other pins to set the number, do I jump those ones or do I do it all on the converter thing? Lastly, what about the converter thing I posted earlier? do I just leave everything on that unbridged? 1. Termination ON for sampler and the HD (that makes sense to me IIRC). 2. Set sampler SCSI ID to a number between 1 and 7 that is not the same as the SCSI ID of the HD. Saves you figuring out how to set the ID on the HD, and/ or using up a jumper. You'll probably need the other jumper to keep the drive from sleeping anyway. yeah, nvm... gonna have to close this thread because I just fried the hard drive while I was testing. I understood what you guys meant about termination, it was just the pins I was having trouble with. I'm back, turns out the converter had fried a capacitor & I was able to resurrect it. power issues are fixed & it's reading the drive properly but it turns out that it's unformatted & I can't format it on the sampler because the drive doesn't show up disk menu, it does read the drive though! Now my question is how do I format a scsi drive to this sampler?